Extending the European Union’s Renewable Energy Directive (RED) on solid and gaseous biomass is being used to roll back sustainability requirements. We illustrate why this is the wrong path in our recent article in Nature Ecology and Evolution. Bioenergy can reduce greenhouse-gas emissions, strengthen rural regions, and diversify cultivation systems by enhancing soil, water, and biodiversity. But this is only one side of the coin. If implemented incorrectly, bioenergy can instead worsen all of these aspects. Ambitious sustainability requirements for environmental and social aspects of biofuel and biomaterial production and use are included in voluntary standards such the Forest Stewardship Council, the Roundtable on Sustainable Biomaterials, the Roundtable on Sustainable Palm Oil, the Roundtable on Responsible Soy, and the International Sustainability and Carbon Certification. Furthermore, the ‘sustainability criteria for bioenergy’ (ISO 13065) were developed in 2015 as a meta-standard that required the following to be taken into account: environmental criteria addressing (1) greenhouse-gas emissions, (2) water, (3) soil, (4) air, (5) biodiversity, (6) energy efficiency, and (7) waste, and social criteria focusing on (8) human rights, (9) labour rights, (10) land-use rights and land-use change, and (11) water rights. However, the EU Renewable Energy Directive (RED 2009; Directive 2009/28/EC; EC 2009) only covers reductions of greenhouse-gas emissions and the mitigation of negative impacts on areas of high biodiversity value, such as primary forests, protected areas, and highly biodiverse grasslands, and for areas of high carbon stock like wetlands, forests, and peatlands. Globally mandatory criteria on water, soil and social aspects for agriculture and forestry production are excluded under RED 2009 to avoid conflicts with rules of the World Trade Organization. Thus, the RED criteria are not ambitious and must be interpreted as minimum safeguards. Furthermore, RED 2009 does not apply to all bioenergy types, and only includes biofuels used in transport, including gaseous and solid fuels, and bioliquids used for electricity, heating, and cooling. But RED 2009 requirements also apply to all raw materials sourced from agriculture and forestry, especially as forest biomass is explicitly mentioned as a raw material for the production of advanced biofuels in the RED 2009 extension from 2015. In 2010, the European Commission recommended in its report on sustainability requirements for the use of solid and gaseous biomass sources in electricity, heating, and cooling “that Member States that either have, or who introduce, national sustainability schemes for solid and gaseous biomass used in electricity, heating and cooling, ensure that these in almost all respects are the same as those laid down in the Renewable Energy Directive” (RED 2009). In 2016, the European Commission proposed a recast of RED 2009 (winter package documents) to (i) “… extend existing sustainability and greenhouse gas saving criteria for biofuels in transport to encompass solid and gaseous biomass in heat and electricity”, and (ii) “… develop sustainability requirements for forest biomass alongside a requirement to include LULUCF [Land Use, Land Use Change and Forestry] emissions in national commitments under the Paris agreement”. No protection of primary and highly biodiverse forests from forestry exploitation. In RED 2009, land-use change criteria applied to agriculture and forestry. Their application is now removed for forestry in RED II (Art. 26). This means that forest biomass harvested in primary forests, in highly biodiverse secondary forests, and in forests on peatland can be sold as sustainable bioenergy complying with RED II in EU markets. Low biodiversity safeguards within new forest management criteria. 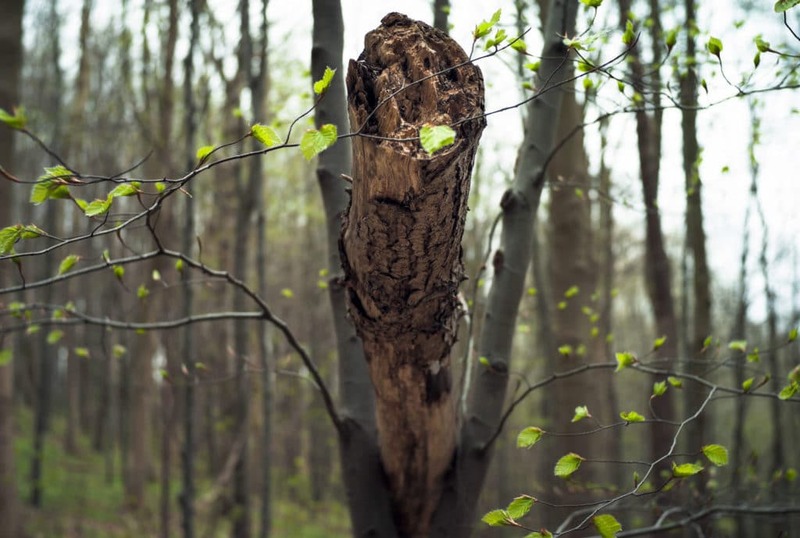 New rules for sustainable forest management have been added in RED II that only cover the legality of harvest, forest regeneration after harvest, maintaining or improving long-term production capacity, maintaining soil quality and biodiversity (i.e., minimising negative impacts of harvest), and respecting existing protected areas (Art. 26.5 RED II). Due to the absence of reference data as a benchmark for the biodiversity status of an area, these few biodiversity criteria are likely to be ineffective. This threshold massively undermines the already weak sustainability requirements for forestry: forest biomass complying with RED II will likely be sold to larger plants and non-complying biomass to smaller plants. The situation is similar for biogas. Most European biogas plants have electrical outputs between 0.1 and 0.5 megawatt (Scarlat et al. 2018), with the minimum plant-output threshold set to 2 megawatts (Art. 26.1). Such large biogas plants require biomass inputs grown on more than 1000 hectares. In contrast, raw material used for biofuels must — as is already stipulated under RED 2009 — comply with the RED criteria for each single hectare. Ineffective new LULUCF criteria. New LULUCF criteria are now included in RED II. The Member States are henceforth allowed to consider imported biomass from forestry only from countries that (i) ratified the Paris Agreement, and (ii) account carbon-stock changes from biomass towards the country’s commitment to reduce or limit greenhouse-gas emissions as specified in the submitted Nationally Determined Contribution or, in accordance with Article 5 of the Paris Agreement, conserve and enhance in the harvested area carbon stocks and sinks (Art. 26.6). In principle, these criteria set carbon-stock safeguards that would still allow land-use change and associated negative impacts on biodiversity in forests. Furthermore, RED II offers an exemption clause; in instances where evidence on the LULUCF criteria is missing, management systems are mandated to ensure that forest carbon stocks and sinks are maintained or strengthened over the “long term” (Art. 26.6 RED II) — an aspect already covered in Art. 26.5 (forest management criteria). Therefore, the LULUCF requirements are a toothless tiger and would not attenuate risks to biodiversity from harvest. Highly biodiverse forests not covered for forestry. The same problem applies to the new RED II criterion on protecting highly biodiverse forests (Art. 26.2) associated with agricultural production. Protection against conversion of forests — including highly biodiverse forests — to agricultural land is already covered by the high-carbon stock criteria in Art. 26.3. Highly biodiverse forests should be protected against negative impacts arising from forestry, but this criterion is missing in Art. 26.5. Undermining the protection of highly biodiverse grasslands. RED 2009 differentiates “natural” and “non-natural highly biodiverse” grasslands, with the latter described as “grassland that would cease to be grassland in the absence of human intervention and which is species-rich and not degraded” (Art. 17.3 RED 2009). These criteria are purportedly defined based on sound scientific information by the Grassland Regulation (EC 2014). Under the RED 2009 grassland criteria, an area is deemed “non-natural highly biodiverse grassland” as long as the opposite has not been shown. Now also a “competent authority” must identify a grassland area as “highly biodiverse” (Art. 26.2). However, even for countries that have relatively advanced legislation and enforcement for nature protection, not all highly biodiverse grasslands are identified consistently by a “competent authority”, nor are there strict definitions of what constitutes such an authority. The situation would be likely worse in countries with weak governance and poor track records in nature conservation. Moreover, this additional criterion is not mentioned in the Grassland Regulation (EC 2014). In fact, approving this new RED II criterion would overrule the Grassland Regulation and reverse the former RED 2009 mitigation approach. As such, no grassland would be considered highly biodiverse as long as a “competent authority” did not deem it to be so. The Commission’s authorisation to draw up criteria determining which grasslands shall be covered as “highly biodiverse” (Art. 26.2) is only a faint glimmer of hope for grassland protection. Maintain land-use change criteria for forestry and extend them to highly biodiverse forests. Do not modify the highly biodiverse grassland criterion. Delete thresholds for forest biomass or at least relate them to the size of cultivated forest areas (e.g., 100 hectares), instead of referring to a large plant size of 20 megawatts. With some minor amendments, RED II could potentially serve to protect forests and grasslands much more effectively. For further information we also recommend the blog of Professor Corey A. J. Bradshaw. 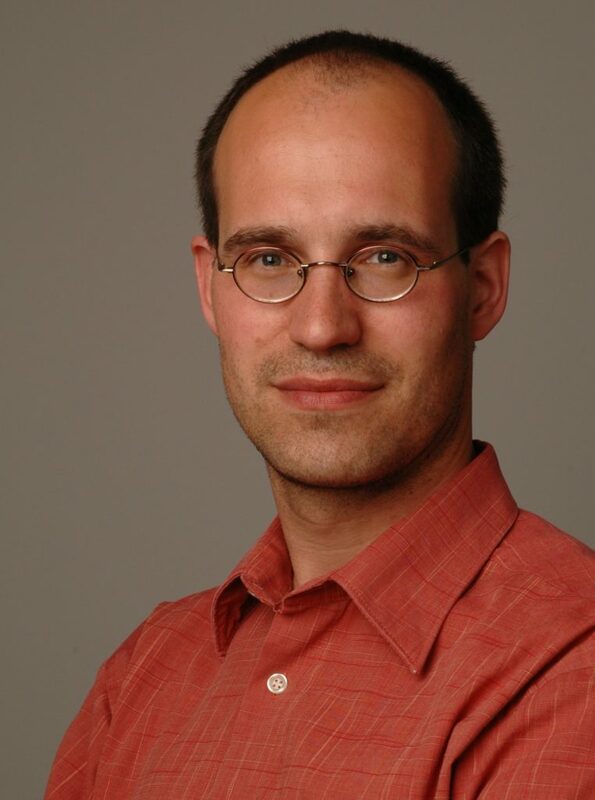 Dr. Klaus Hennenberg is a Senior Researcher at the Oeko-Institut’s Energy and Climate Division since 2007. He has worked extensively on issues related to the sustainability aspects of the Renewable Energy Sources (RES) Directive. This has involved supporting the German Government during the development of the RES Directive, assisting the German Environmental Ministry in implementing the RES directive in Germany, doing projects on the extension of the RES directive on solid and gaseous biomass, and reviewing certification schemes (bioenergy, biomaterials). He is a member of the German DIN Committee NA 172-00-10 AA “Sustainability Criteria for Biomass” working on international sustainability standards for bioenergy and biomaterials (CEN, ISO). Professor Corey A. J. Bradshaw is the Matthew Flinders Fellow in Global Ecology at Flinders University in Adelaide, South Australia. His research is mainly in the area of global-change ecology — how human endeavour and climate fluctuations have altered past, present and future ecosystems. His most important contributions have been in the area of applied ecology, biodiversity conservation, theoretical ecology, extinction dynamics, human demography, species responses to climate change, disease ecology, and applying ecological theory and modelling techniques to hindcast prehistoric ecosystems. He runs the popular conservation blog ConservationBytes.com. Dr. Hannes Böttcher works as Senior Researcher at the Oeko-Institut since 2013. He has strong expertise in sustainability requirements of bioenergy production, sustainable forest management, land-use modelling and greenhouse-gas accounting rules in the land use, land-use change and forestry sector (LULUCF). He was lead author of the IPCC Report „2013 Supplementary Methods and Good Practice Guidance Arising from the Kyoto Protocol“. Just a small comment on an otherwise very relevant and pressing issue. In your original Nature article, you may have made a small but important calculation error. The threshold for the RED criteria is defined as 20 MW „total rated thermal input“. However, your piece refers to „total rated thermal output“. Under the assumption that fuel capacity corresponds to heat input based on electrical output, the actual threshold is considerably lower, e.g. a quarter or a third of 20 MW. Dear Masha, thank you for your feedback. Yes, that‘s a mistake, it should read „total rated thermal input“ and not „… output“. We have to apologize for this incorrect term and we corrected it in this blog post. – In the EU, 74% of wood chips are burned in plants with a size above 20 MW (fuel capacity, BASIS 2016, page 9, figure on the right). – The term “fuel capacity” is equivalent to the term “total rated thermal input” used in RED II. – Wood chips amount to 31.4% of solid biomass used for energy in the EU only (BASIS 2016, page 10, figure on the right). This means that wood chips burned in 20 MW (fuel capacity) plants equal about 23% of total solid biomass (74% * 31.4%). – Assuming that industrial use of wood pellets also takes place in large plants (3% according to BASIS 2016, page 10, figure on the right), total solid biomass consumption in plants larger than 20 MW (fuel capacity) amounts to about 26%. – Consequently, the remaining 74% of solid biomass are exempt from compliance with the RED proposal criteria. This covers “residential consumption (excluding pellet)” of 41.9%, “wood pel-lets residential” of 3.6%, “wood pellets commercial heat” of 1.2%, and “other solid biofuels (small scale use of wood chips, black liquor, agro etc. )” of 18.9% (BASIS 2016, page 10, figure on the right). 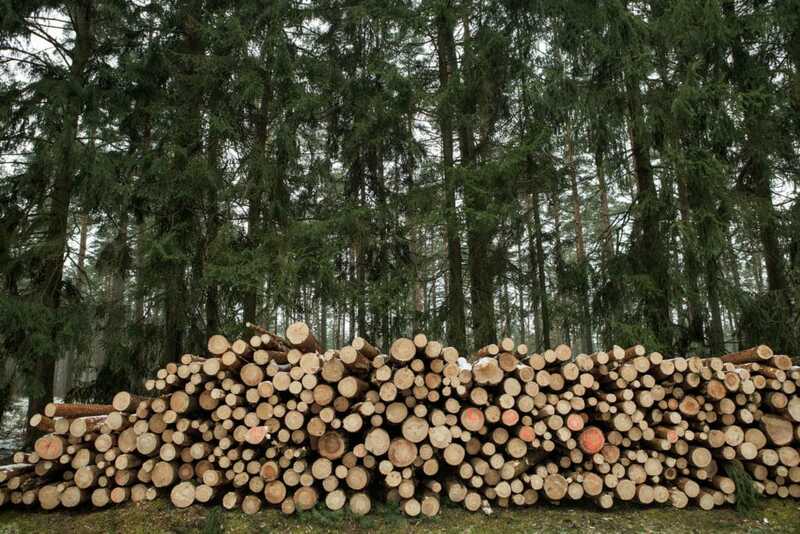 Thus, the use of the term “output” in the text is incorrect, our statement that “about 75% of European wood energy today would not need to comply with RED II sustainability requirements”, however, is not affected by this error. Recently Searchinger et al. (2018) have published another critical article on RED II entitled “Europe’s renewable energy directive poised to harm global forests”. The authors emphasize that in the time horizon until 2050 the direct energetic use of harvested wood does not contribute to climate protection, but on the contrary emits more CO2 than the combustion of coal or natural gas. They conclude that RED II incentives could result in “consume quantities of wood equal to all Europe’s wood harvests, greatly increase carbon in the air for decades, and set a dangerous global example”. All in all, RED II incentives induce significant risks for biodiversity and the climate.